Fire was the first horse donated to us. She came to us when she was 18 years old. She had one owner for most of her life and she was very loved. Fire and her owner were friends and partners and logged many hours on the trails and in the mountains of Oregon. Circumstances changed, as can sometimes happen in life, and Fire was sent to live with some of the woman’s family in Creston. 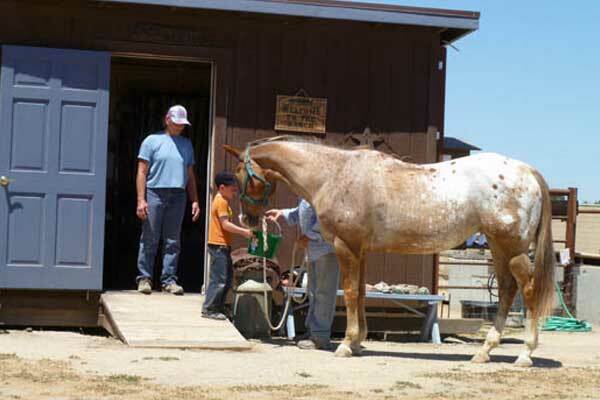 While it was a fine home and Fire’s needs were met, she became part of a herd and no longer a horse with a special person. Although well taken care of, Fire became depressed and lost weight without that special connection. She was donated to us in the hope that the tender loving care we provide would rejuvenate this amazing horse. She regained her princess status and has been content ever since. 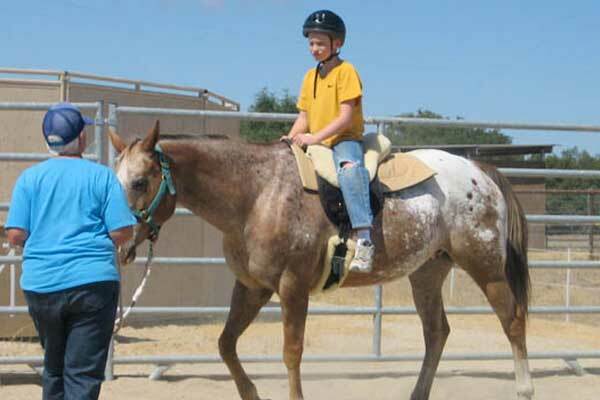 She has been our special horse and has taught many how to be safe around horses and how to speak “horse”. She will let you know if something is unsafe or unwise, she turns her head and levels a look that leaves no doubt as to what she is saying. 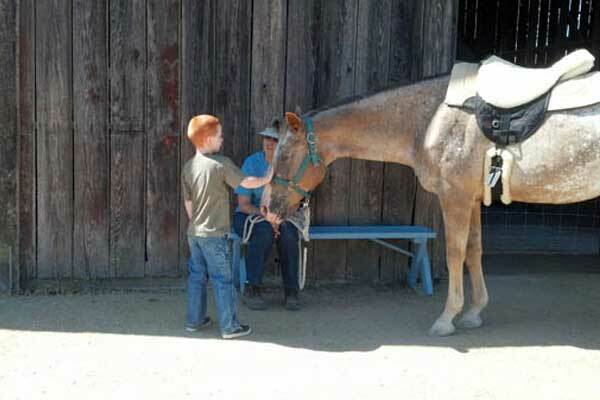 Fire enjoys the children and spending time being groomed and loved.